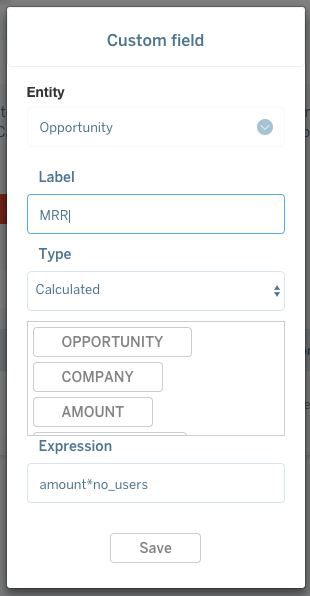 Custom fields allow your team to capture important data for companies, contacts, and opportunities in Spiro. These fields can be used to filter lists in Spiro and create insightful reports around data. 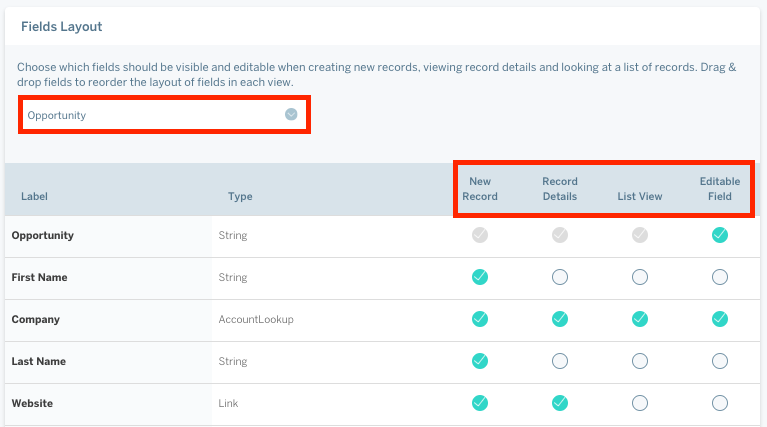 As an Admin, you can customize your team's fields under Settings > Custom Fields. Choose the entity you would like to add the new field too. Let’s say you are selling a monthly subscription-based product for $10 a month. You can create a calculated field multiplying the number of months the customer has signed up for by the unit price. Choose which fields should be visible and editable across different views in Spiro. You can also drag and drop field to reorder them across all views. If a field is not marked as editable, user will only be able to read this field and not update. 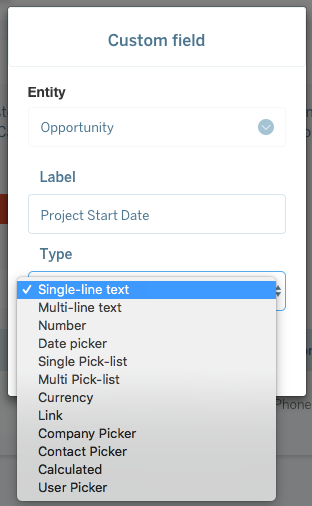 From Layouts you can also re-label standard fields under the Label column. For example, you may want to change the label name Amount to Annual Revenue. Click on the label you want to change, edit the label and then click out to save. First, choose which entity you would like to customize the layouts for. You can choose from company, contact, opportunity or any custom entity you have created for your organization.